Perhaps the most influential American writer of the early 20th century on the next generation of fiction writers. These include Hemingway, Fitzgerald, Faulkner, Nathaniel West, and Thomas Wolfe. He was never properly afforded that honor. 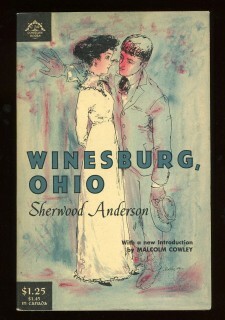 *Winesburg, Ohio *is his most remembered novel (collection of caricatures of small town folk)./ It is still required reading in most high school English classes. Tidbit: Was he always destined to die in Panama? Anderson died after swallowing a toothpick from a martini while visiting there.